Sarah Hampson feels like a different person to how she was 10 years ago. Back then, the mum of two was suffering from social anxiety, agoraphobia, stress, depression and was struggling to cope with the world around her. She says she was a shell of the person she has now become and believes her transformation is down to her own inner strength and her association with the Council-backed project New Leaf. She has come a long way from a point in the past when the effects of what she had been going through hit her unexpectedly. Sarah received jobseekers allowance, but at times struggled to find the confidence to make the journey to the job centre. Sarah explained her situation to a Work Zone employee and was introduced to a mentor who works for New Leaf. Cheshire West and Chester Council is part of the New Leaf partnership which offers intensive one to one support to people living in Ellesmere Port. New Leaf programme will support more than 2,800 people from across Cheshire over three years until September 2019, enabling them to move closer to employment. The project has received £10.6 million of funding from the European Social Fund and the National Lottery, through the Big Lottery Fund. It is part of their Building Better Opportunities programme to invest in local projects tackling the root causes of poverty, promoting social inclusion and driving local jobs and growth. Sarah added: “New Leaf has been a lifesaver for me. Without the help and support from them I wouldn’t be here. I have had a lot of support. It has been everything. You have got to want to have the help and I know I need it. The mentor saw they could give me the help. I accepted it but it was difficult to accept the help and know that someone was telling me that I can do things after being told that I couldn’t for so many years. Sarah is on a one year contract with New Leaf as their community energiser. 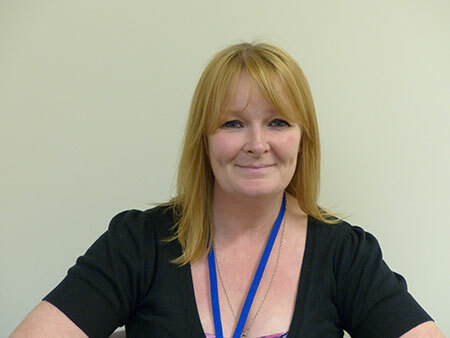 She is tasked with finding other people in Ellesmere Port who are in a similar position to her and to introduce them to the benefits of receiving support from New Leaf. She has lined up another job for when her contract ends. She added: “My family life is happier because I haven’t got the worries on my mind. It has also helped my partner. He felt stuck in his job but because he knew I could do it, it inspired him to do it and change his career. It doesn’t just change one person’s life it can change the whole family’s life. Councillor Brian Clarke, Cabinet Member for Economic Development and Infrastructure, said: “New Leaf helps people rebuild their lives, despite their personal circumstances. People leave the project with a can do attitude, an array of employable skills and often a secured job. If you are interested in finding out more about how New Leaf could help you, please contact the New Leaf team on 0151 356 6771.